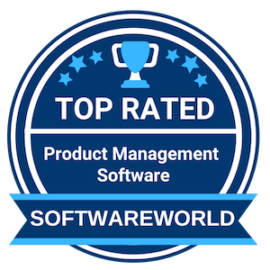 What are the Best Product Management Software in 2019? About Targetprocess : Targetprocess provides a visual Agile management solution that enables customers to scale Agile from a single team to the enterprise level. Teams can customize Targetprocess to match their ways of working, visualize work from multiple angles to understand the big picture, and present a unified view of progress up to the portfolio levels to drive smarter investment decisions. “The flexibility to customize our process within TargetProcess is amazing, with custom fields and the broad variety of views, everything we need to keep track of what is happening at the company is provided. TargetProcess is the main managing tool at TecSinapse. A great tool for managing product lifecycle!” – Paulo V.
About CaseCamp.com : Product Management Software CaseCamp.com, keeps people on the same page working toward a common goal: finishing a project together. We are closely married with GitHub for Version Contract and IOS & Android App for time & location Tracking. “Casecamp ensures that a project manager’s task is to make certain that all the stakeholders understand the project and agree on what project success looks like. Their topmost priority is that the change-driven scope definition is clarified just sufficiently for time and cost estimates.” – Vinay Ram G.
About Aha! : Aha! is the world’s #1 product roadmap software. Aha! help more than 5,000 innovative companies — from startups to the Fortune 500 — build products customers love. More than 200,000 users worldwide trust Aha! to set brilliant strategy, capture customer ideas, and create visual roadmaps. The company was founded in 2013 by Silicon Valley veterans and product management experts Brian de Haaff and Dr. Chris Waters, whose two previous companies were acquired by well-known public corporations. About RealtimeBoard : RealtimeBoard brings the benefits of a collaborative whiteboard session to everyone in a global company regardless of their location with a secure and scalable solution. The service is available either in a browser or via desktop, Android or iOS app. It can also be used on tablets and interactive whiteboards. We are building the world’s most popular whiteboarding platform for cross-functional teams collaboration. About productboard : productboard is the leading product excellence system, helping product teams get the right products to market faster. Over 1,500 modern, customer-driven companies – like Zendesk, UiPath, Avast, and Envoy – use productboard to understand what users need, prioritize what to build next, and rally everyone around their roadmap. “Enabling a structured capture of large amounts of customer data, as well as the prioritization of features. ProductBoard saves us 10s if not 100s of hours every month. I can see everything at once, and then pivot or filter the data depending on the problem I’m investigating. Simple onboarding, yet powerful tool” – James B. About Receptive : We are the leaders in Product Demand Intelligence enabling companies to make data-driven product decisions by translating demand from customers, internal teams and the market into actionable insights. Your customers can use our feedback portal (which integrates directly with your app) to submit requests and ideas of their own, as well as browse other customers’ ideas. They can then use our innovative slider system to prioritize the different requests, allowing you to see what is truly important to your users. About Zoho Sprints : Zoho Sprints is a cloud-based collaborative project planning and tracking solution for agile teams, which offers drag-and-drop planning tools, Scrum boards, timers and timesheets, meeting scheduling, dashboards, reports, and a team activity feed. The software is designed to be used by teams of all sizes managing multiple projects, and offers native apps for iOS and Android. “I like that Zoho has many tools to implement, to streamline and give a delivery time in projects. It is a program that I use daily to see the progress of my tasks and others and always have control over them. Zoho Sprints makes any project an easy thing to do.” – Anibal R.
About ProdPad : ProdPad provides product management software that helps product teams collect ideas, identify priorities, and build flexible product roadmaps. A smart, dynamic toolkit that integrates with your product development processes at every stage and supports collaboration from your entire business empowers product managers to turn great ideas into great products that customers love. About Conceptboard : Conceptboard supports you in a wide range of use cases: from interactive presentations to product development to meetings or internal trainings. Work with teams, clients, and external partners across the globe. Get projects done with remote teams or in the same room, work in real-time or asynchronous. Conceptboard integrates seamlessly into existing workflows and speeds up your collaboration. “We work with people around the world and organize projects together, like this we can easily share the notes and progresses of the projcet with everyone involved. Its saves time and is very efficient. Time saver!” – Pia D.
12. leanGears – Manage your startup smartly! About leanGears : leanGears is an agile product management tool! leanGears aims to empower startups and product teams with the visibility they need, to make more informed decisions, strategize and create products that customers love! Equipped with both strategic and tactical tools, leanGears aims to be a product manager’s thinking tool throughout the product life cycle. It comes with strategic features like Visual Elevator Pitch, Lean Canvas, Impact Mapping, Experience Mapping and collaboration tools like User Story Mapping, Release Planning and Storyboards. “The software basically helped me in organizing ideas for a video creation app I want to build. When you see the user stories and features in an organized way, it is easier to prioritize your work. The vision creation option and impact mapping options are great for organizing your ideas for creating your product.” – Tharika T.
» Workflow Management Software – Workflow Management Software helps in coordinating interactions between employees and ensures that the flow of process and tasks are kept in sync. You can use this software set up and monitor a defined set of tasks along with maintaining its sequence. » Project Portfolio Management Software – One might not know what the project portfolio management software is. Some of you might not even have heard about it. But the chances are that your company needs this in a big way. » Project Management Software – Companies that engage with various projects at any given time require a primary application that manages them. Project management software aids to these requirements and plays a vital role throughout the process.